At St. Mary’s High School, students have the opportunity to chart their own course, to write their own story. 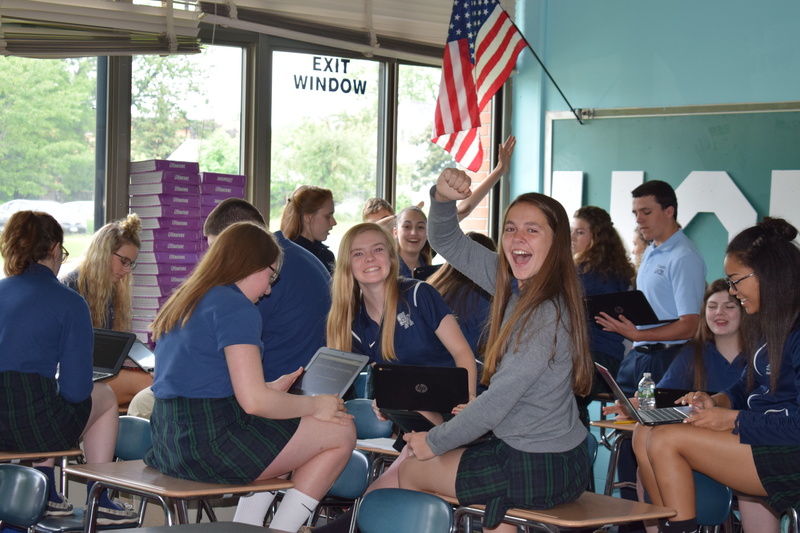 Within a small school setting, St. Mary’s provides an incredibly supportive environment where students become the best versions of themselves- in and out of the classroom. In Buffalo Business First’s 2017 rankings of high schools in Western New York, St. Mary’s was 9th of the 135 schools, solidifying its place as the best value private high school in the area. By challenging students academically, but still incorporating the fun that should come along with a high school experience, students can do it all at SMH: play the sports they love, take center stage in a musical, or design a yearbook. Whether you’re a seasoned, competitive athlete or just play for the love the game and whether you’ve been taking voice lessons for years or just love to sing in the car, there’s always a place for you at St. Mary’s. Start your story at St. Mary’s High School’s at our Open House, Thursday, September 21, 2017 5:00 p.m.-8:00 p.m. or Friday, September 22 5:00 p.m.-7:00 p.m. We cannot wait to meet you!